Possible deepening of Venezuelan crisis and further reduction of its oil exports to Cuba. Possible increased cost of oil from Russia, Angola, Algeria and other suppliers in the Caribbean. Possible reduction of American travel to the island. During the first half of this year Cuba paid $ 2.306 billion on its external debt and still has to catch up on current payments to foreign suppliers. Decreased Cuban nickel production and drops in international prices for this commodity. Elusive foreign investment on the island, and complicated, lengthy Cuban process for approval of same. Recent Cuban government measures to control and stifle the country’s private sector. Economists: The picture could complicate Cuba even further this second semester, Diario de Cuba (Aug. 19, 2017). On April 21 at the United Nations Cuba and Morocco signed a memorandum of understanding that stated, “Guided by the mutual will to develop friendly relations, the two governments agreed to reestablish ties as well as political, economic and cultural cooperation.” They also expressed their willingness to develop ties of friendship and co-operation in the political, economic and cultural spheres, among others. Below is a photograph of the two countries’ flags. 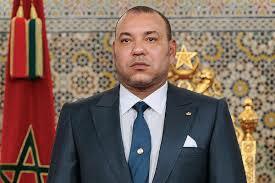 The two countries thereby agreed to end 37 years of non-relations. 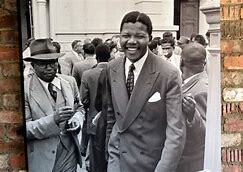 In 1980 Morocco severed such ties because Cuba had extended diplomatic recognition to the Sahrawi Arab Democratic Republic (SADR) in Morocco’s Western Sahara region. There also had been another period of non-recognition (October 31, 1963 through January 13, 1964) after Cuba had supported Algeria during its Sands War with Morocco in the Western Sahara. Only one week after the Cuba-Morocco announcement, the U.N. Security Council unanimously passed a resolution calling for new negotiations to end the conflict in the Western Sahara. The U.N. has been involved in this conflict since at least 1991 when it brokered a cease-fire and established a peacekeeping mission to monitor and help prepare a referendum on the territory’s future which has never taken place. This will be discussed in a future post. 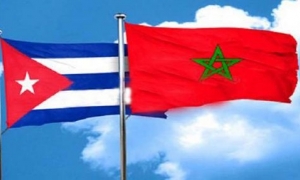 Morocco, Cuba re-establish Diplomatic Relations, Morocco World News (April 21, 2017); Lamzouwaq, Morocco-Cuba: 37 Years of Cold Hostility, Morocco World News (Apr. 25, 2017); Akwei, Morocco and Cuba have restored 37-year-old broken diplomatic ties, Africa News (April 22, 2017); Borrero, Cuba and Morocco looking to the future without forgetting the past, Granma (April 26, 2017). Assoc. Press, UN Council Backs New Effort to End Western Sahara Conflict, N.Y. Times (April 28, 2017).